On March 7, the German Marshall Fund of the United States hosted Deputy Prime Minister and Defense Minister of North Macedonia Radmila Šekerinska for a discussion on the country’s efforts to join NATO this year, advance democratic reforms, and further its Euro-Atlantic integration. 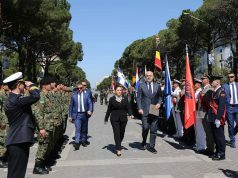 She spoke about North Macedonia’s progress to join NATO on the eve of the alliance’s 70th anniversary and its efforts to begin accession negotiations with the European Union. Defence Minister also spoke about her country’s efforts to counter malign influences, including from Russia, which has sought to destabilize North Macedonia and block its transatlantic integration agenda. 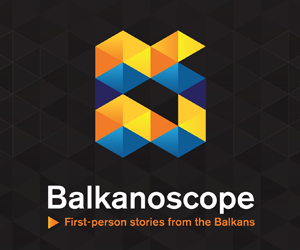 North Macedonia has taken significant steps over the last year, including implementing the Prespa agreement with Greece, positive steps toward NATO membership, and renewed momentum to open accession negotiations with the EU. She was the first minister to represent North Macedonia at the NATO headquarters in Brussels for a meeting of the alliance’s defense ministers, which was held in February. In the light of that meeting she pointe out that she was to be the first defense minister to represent the Republic of North Macedonia at North Atlantic Council. 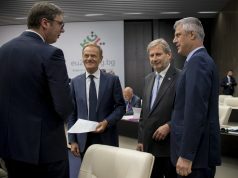 “This historic moment could not have been possible without the courageous vision of leaders who understand that good compromise leads to mutual success”, said Šekerinska. “We have been knocking on NATO’s door for more than 25 years and finally achieving this goal is a testament to the success of this government. 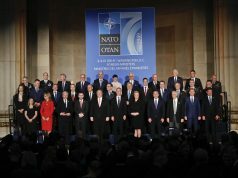 Our invitation to attend the NATO meeting was the result of a political leadership that is willing to make hard decisions to solve disputes and that refuses to let problems go unsolved. However, we must also recognize NATO and the EU for their efforts to bring North Macedonia and Greece to this point. I do not think the agreement would have been feasible without them”, expalined Defense Minister. As she said, in the past year the question she has heard most often is how both NATO and North Macedonia will benefit from their membership. “NATO is an alliance of values and a force multiplier. For North Macedonia, this means an opportunity to strengthen our democracy, boost our security, and make the lives of our citizens safer. NATO membership ensures our country’s sovereignty and prosperity. Our membership benefits NATO as well. As members, we will do our part to export stability and security in the Balkans. Every member state, no matter its size, contributes to NATO in a meaningful way and we are dedicated to doing our part to ensure the future strength of the alliance”, Šekerinska added. Commenting on the question what is the status and timetable of the defense, security and intelligence reforms due to the fact that North Macedonia has made enormous strides to put in place critical reforms required by NATO and important to strengthen its nation’s democracy and respect for the rule of law, Šekerinska expalined that they had paid special attention to fulfilling their obligations in several key areas. “First and foremost are the ongoing defense reforms, based on the Strategic Defense Review that we have developed with strong U.S., U.K. and NATO support. We have put together a five-year plan that divides all the necessary tasks for integration into seven groups: administration, modernization and equipping, force structure, training and exercises, logistics, integration of air defense systems, and communication and information Systems and cyber defense. An in-depth analysis of the Ministry of Defense revealed that we required a new structure and new processes. Given the need for stable funding in order to achieve these reforms, the government has moved to increase the defense budget each year by 0.2 percent of GDP until it reaches a full 2 percent of GDP by 2024. We will move even quicker on the 20 percent for modernization. The government has also dedicated itself to rebuilding the institutional and legal systems of North Macedonia that were undermined and weakened under previous leadership. We are committed to strengthening a civil society that respects democratic values, individual freedom, freedom of the press, the rule of law, and a strong judiciary system. We have taken significant steps to reform the intelligence agencies and services so that they will again serve the nation’s security, not the interests of the powerful”, she said. Regarding the reform of the security and intelligence services, she explained that the model chosen for this provides for the separation of the Directorate for Security and Counter-Intelligence from the Ministry of Interior and the creation of a new independent state administration body for the purpose of ensuring the internal security of the state and conducting counter-intelligence activities. “The Assembly enacted the Law Amending the Law on Criminal Procedure, thus completing the legal framework for the reform of the system for the interception of communications. Hence, there is no longer any theoretical or practical possibility for the abuse of special investigative measures”, Šekerinska added. 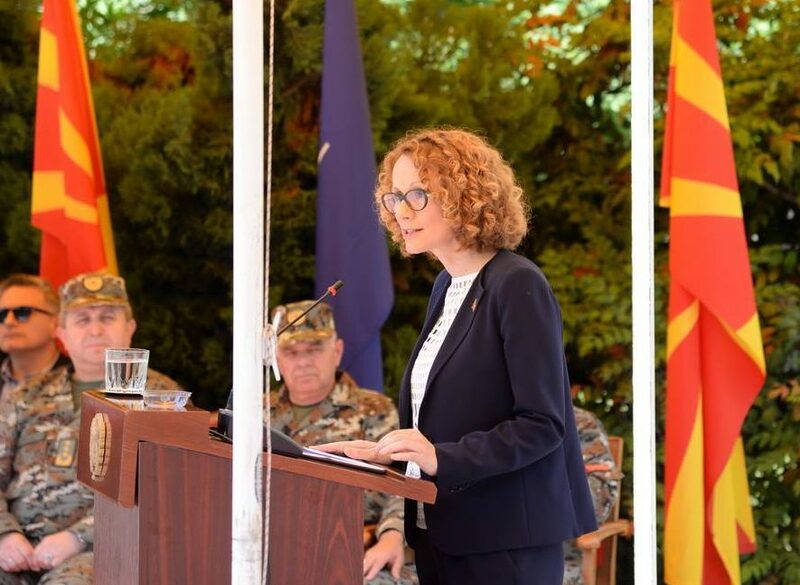 On the question how can North Macedonian partners support its Euro-Atlantic integration process Defense Minister said: “I want to express our gratitude for the support from our partners in Washington and Europe that have cheered us on in the past months. Without their support, my country would not have made this enormous progress. Currently, the process of ratification of the accession protocol for the membership of North Macedonia in NATO is underway. We would be very grateful if member states ratify this protocol in time for us to become a full member of NATO by the London NATO summit in December. We expect to receive another wave of support in June for the opening of EU membership negotiations. I hope that the efforts that my country and my people have made to get out of the crisis will be recognized and rewarded. We know that negotiations with the EU are a long and difficult process for a country that has grown and developed outside of that system. We don’t expect shortcuts, but we believe that we have earned ourselves the chance to open the accession negotiations. This will enhance our processes of changing laws, improving institutions and applying European standards. Our citizens deserve to be called European citizens. We will do whatever is necessary to achieve that goal, just as we have fulfilled requirements for NATO membership. Our future is bright and we look forward to the hard work of reforms that will benefit North Macedonia, the Balkans, and the entire European Union”, Šekerinska concluded.